Leave feedback for member jeditaz here! i'll start with a +3 for a great trade and awesome communicator! 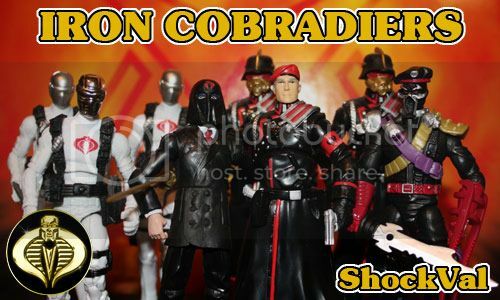 It's Time to make Cobra Disco, yes? Good guy to deal with all around. Much thanks Sean! I purchased Short Fuze from jeditaz. He was very friendly, communicated well, and shipped me the figure quickly. Very happy, +1 for jeditaz. HUGE +1 for jeditaz! finally got my Alpine for a reasonable price + he threw in a freebie for my son - it doesn't get much better than that, Thanks SO much!!! +2 for this man! Awesome guy to deal with. Defo deal with again! Thanks again. +2 for Jeditaz. Super fast turnaround time on a trade. Very fast payment and I was very happy to deal with him. He communicated well and transaction went smoothly. VERY PLEASED and will do transactions with again. Great job!! Great Fodder trade with jeditaz...great Tanker with excellent communication! Great to deal with, thanks. +1 for jeditaz! Thanks for the great trade. Quick shipping and packaged very well. Will trade with anytime.